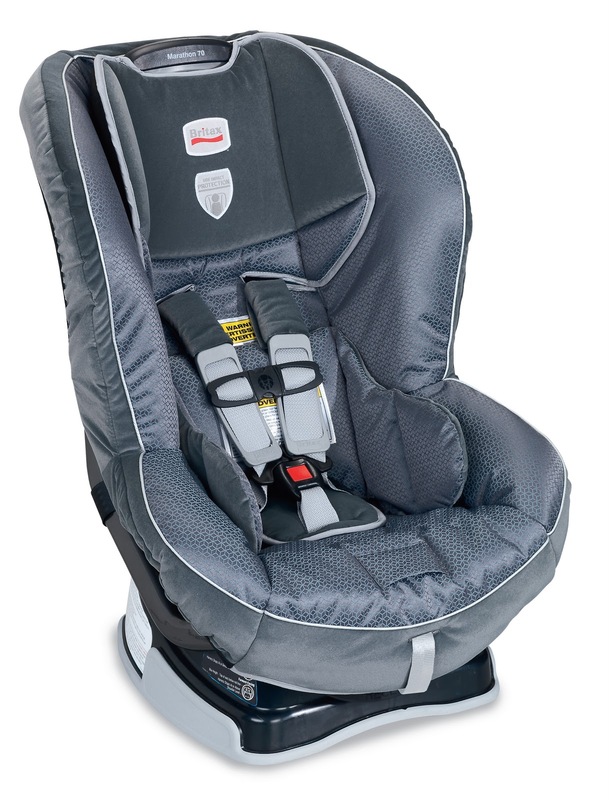 Holiday Gift Guide – Britax Marathon 70 Car Seat Review and Giveaway. When searching for kids gear there are some brands that I just can’t help but start with whenever I am looking for a product because I know how good it is with quality, function and even the design and that is precisely the case with Britax. I have been able to try some different products from Britax going from stroller, to infant car seat, to now a toddler car seat and in each opportunity and in each occasion Britax has met my very high expectations and I am now a big Britax fan. No matter which Britax product we are talking about, I love the crafmanship , the quality, but most of all I love the safety features offered by Britax products. I have recently tried the Marathon 70 car seat from Britax which is a Rear facing( 5-40 lbs), Forward Facing ( 1 year and 20 , up to 70 lbs) and I was as usual more than pleased with the product. I picked the Crimson design which is a red/black fabric combination and I am so glad I did, the bug LOVES it. She calls it the ladybug car seat…..Actually I have never seen a kid with such a passion for her car seat. When I first changed her from the infant car seat to her “big girl” car seat, I asked around and I got the same feedback……..Britax is what you want and I am so happy I did! Britax is the way I am planning on going with the next bug also, especially after Britax’s redesign of the Marathon 70 to include even more safety features! SafeCell Technology features SafeCells, an engineered structure, designed to compress in a crash, significantly lowering the center of gravity and counteracting the forward rotation of the child seat which normally propels the child toward the vehicle seat in front of the child restraint. The SafeCells that comprise SafeCell Technology are located in the base of the seat. I am not exactly a car lover, so if I can get any added features that will maximize my daughters safety, I am all for it! 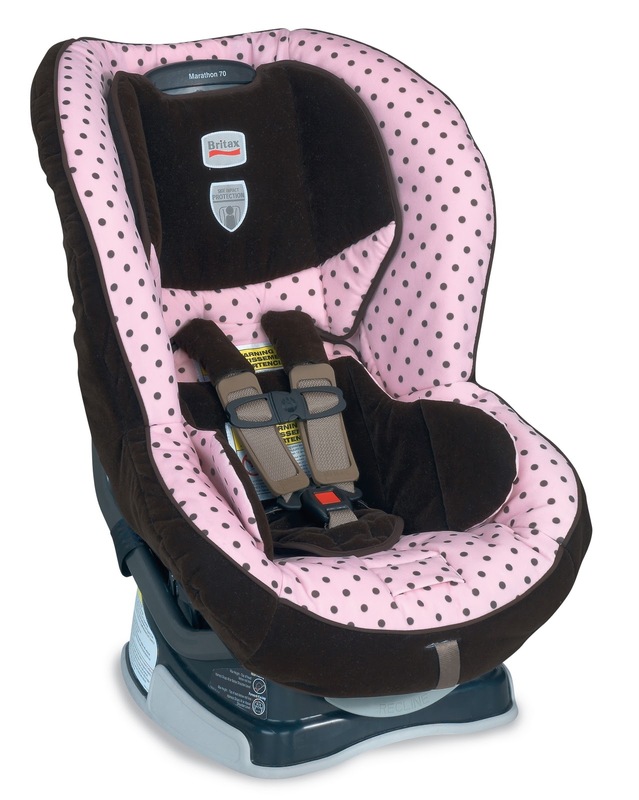 Among the safety features that make this car seat a favorite, you can find the Integrated Steel Bars which strengthen the connection to the vehicle and reduce forward flexing of the child seat during a crash. The ultimate job of a car seat is to minimize injury to your child during a crash. One way that your child may be injured during a crash is by hitting something in the vehicle, such as the back of the front seat. Incorporating Integrated Steel Bars, which reduce the forward flexing of the child seat during a crash, can minimize the risk of your child being violently propelled forward and hitting the back of the vehicle seat in front of the child restraint. It makes all the sense in the world to me and as I said before, I will take as much protection as I can get for my ladybug! • helping to slow down your child’s body during a crash. The use of a tether can reduce the distance that your child’s head moves forward (also called head excursion) by four to six inches, thereby minimizing the risk of injury during a crash. I had no idea about this and I am so glad I now know about this very important feature! Would you like to know of more features I can’t help but love on the Marathon 70 ? Side Impact Protection comprised of deep side walls lined with energy-absorbing EPP foam distributes crash forces, shields from vehicle intrusion, and contains the head, neck and body, Tangle-Free, Five-Point Harness distributes crash forces across the strongest parts of the body and provides a secure fit, two Buckle Positions for your growing child. The harness is so easy to manage that my 3 years old is able to fasten it herself….Actually she demands to do so. Now besides the obvious reasons why this car seat is a great option, you also have the fact that the car seat is very comfortable and very user friendly. Even though the instructions are clearly illustrated and safely attached to the car seat, the car seat is really easy to install and one detail that I have not seen any other car seat with is the little pouch on the back of the car seat to store the Versa-Tether straps when not in use. If I was not already loving the car seat (which I was)… The easy cover removal for cleaning (no hooks or clips— to fight against, it just pulls right off) brought a smile to my face! Ohhh, one more thing that might sound silly but it is actually something I have had issues with before …..I have found that the harness on most car seats can be uncomfortable for your little one when she is not wearing sleeves (I have a girl and live in Florida, so strap tops are common in my daughter wardrobe). So getting pads is a must. The Marathon on the other hand comes with very comfortable pads to avoid this problem right out of the box……This is what I call attention to detail! • Want More great features? You can buy this and all Britax products at: http://www.britaxusa.com/store and selected retailers across the country and Canada. Britax has kindly offered one very lucky Born 2 Impress reader the chance to win a free Marathon 70 of their choice! To enter this giveaway, please Check the great video from Dadlab’s on this post and tell me something your learned from it, then visit Britax and tell me what other product you would like to try. This is mandatory to participate. (you MUST be a public follower of the Born 2 Impress blog enter this giveaway, and if your profile is set at private, entries don’t qualify). 2 entries- Like Britax on Facebook. 2 entries- Follow Britax on Twitter. 2 entries – Grab any of the images or buttons on the Special Events page and get 2 entries on all giveaways! 1 entry- Follow me on Twitter and Tweet about this free giveaway using: @Britax and @born2impress, win a Britax Marathon 70 Car Seat . Color of Choice!. http://bit.ly/aJHRNf Up to once a day! Giveaway ends December 15th at midnight Eastern Time. Contest open to U.S. Residents with a valid street address. No PO Boxes please. Winner(s) are selected randomly through the use of random.org unless otherwise noted and will be announce on the contest closing date. To claim your prize(s), you must contact Born 2 Impress within 48 hours of the contest closing Prize(s) not claimed by (48 hours) will be forfeited and a new winner will be selected in a live giveaway. Please provide a valid email address to be informed in case you do win a giveaway. We have a winner: True Random Number Generator Min: 1 Max:1480 Result: 1098 Powered by RANDOM.ORG. Congratulations: akritical! Please contact me within the next 48 hours to claim your prize. « Holiday Gift Guide- skagen Designs Review and Giveaway. I Like Britax on Facebook. I am a friend of yours on FB. I subscribe via My Yahoo reader. I learned how they lower the seats center of gravity for safty using there safecell technology. I’m a follower of your blog and I wouldlove to try one of Britax Stollers.. I learned 2/3 of injuries children suffer in crashes is to the head. I also like the Britax B Ready Stroller. I learned the Marathon is reinforced with steel to reduce flex during a crash. I would LOVE to try the B-Ready – love the options! I learned that for children up to 12, head trauma is the most related deaths. 🙁 I also love the B-Ready stroller! What?! had no idea they had strollers, I want a Bready striller! Learned about lowering the center of gravity in a car seat! Entered the puddles collection giveaway! I learn that during an accident, a child can have severe head injuries by hitting the back of the front seat. I love the CHAPERONE stroller. 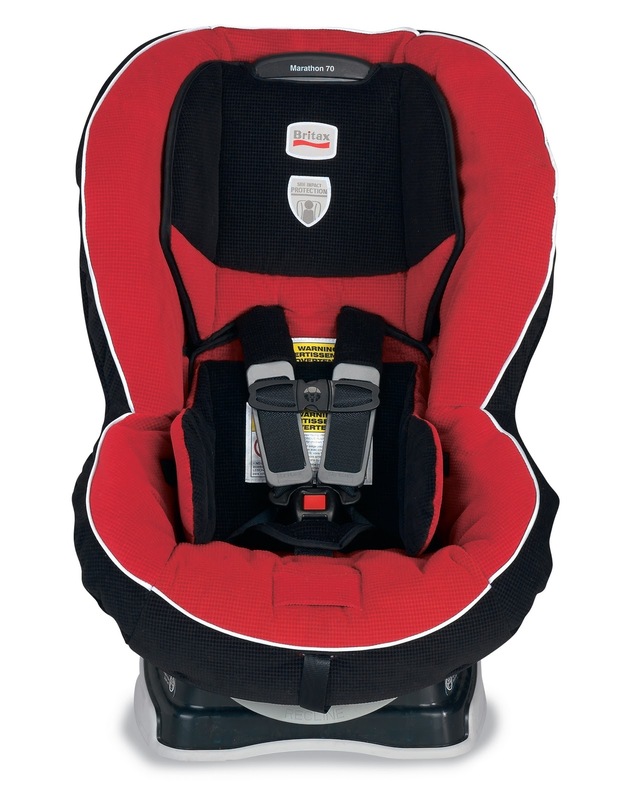 Britax lowers the center gravity. I would like to try Britax B Ready Stroller. learned that is uses SafeCell Technology, cool..
i learned about britax’s use of physics to create new head safety technology. i’d also like to try the b-ready stroller. I learned that the center of gravity is much lower on the Britax seats. I learned how the Safety cell technology compresses to further lower the center of gravity. I learned Britax reinforces the seat with steal bars to reduce the seat bending forward in a crash. I am looking now at the B nimble stroller as my sons next stroller. I am switching the my daughters booster to the Britax Frontier 85 because of what Dadlab Video blog said about kids up to the age of 12 hurting there heads in an accident and now I know her seat is not safe enough. I learned that 2 of 3 of injuries to children in crashes are to the head. I like the B Ready Stroller. Britax is now reinforcing their car seats with steel, it makes so much sense- in the event of an accident, plastic would obviously “give” or “flex” more than steel. The Safe Cell technology they’ve introduced is amazing; they’ve created something that “soaks” up some of the impact of a crash. And not only has the safety been improved, they’ve actually made it more convenient for us parents to use with the Quick-Adjust Harness feature, SO genius! We own a Britax Marathon for my (very long) three year old and we absolutely love it (we went through 4 car seats before finally finding the Marathon). We now have a nine month old baby who has almost outgrown her infant car seat and is ready for her own Britax (I’m so excited they’ve made it even better!). I would LOVE to try out an Advocate 70 CS (in Cowmooflage, SO CUTE!). Following you on Twitter and tweeted about this giveaway! Subscribed To Feed (through yahoo)! I learned that it uses steel, that is impressive. I also like the Britax B Ready Stroller. the technology on the safety of this carseat is fascinating! I learned that for children up to 12 head trauma is the leading cause of crash death, wow that really makes me think twice about my carseat. I would also love to try the Britx B-Ready Stroller, I love how versatile this thing is. GFC Follower of your blog @Alisha L.
I learned 2/3 of children in crashes who are hurt are hurt with head injuries–so sad! I learned that the Versa-Tether strap absorbs crash forces and slows a child’s forward movement during a crash. I’d also love to try the B-Ready stroller! i learned that most childhood head injuries in a crash are due to the head hitting the back of the front seat, even when strapped into a car seat. i’d also be happy with a MARATHON Classic car seat! I entered the GummyLump giveaway! I entered the Montrail giveaway! I entered the BearPaw giveaway! I entered the Geomag giveaway! I entered the Little in the Middle giveaway! I entered the Baby Star giveaway! I entered the Webstaurant giveaway! I entered your Hearthsong Seesaw giveaway! I also entered the Shooshoos giveaway And I’m a follower! I like britax on fb! I learned about Britax’s new Head Safety Technology, created to prevent children’s heads from hitting the seat in front of them during an accident in a forward-facing seat. I’d also like to try a Britax Blink stroller. I entered your George Foreman giveaway. I learned how they lower the seats center of gravity for safety using there safe cell technology. I’d love to own a Britax B-Ready Stroller someday. I have been doing a lot of research on Car seats lately. My son just turned 1, and I wont put him in anything other than a Britax! The Britax product is the best. As shown in the video, they use safe cell technology and the steel bars which increases your childs safety. 360 degrees of safety! I would also love to have one of the stroller systems Britax offers. I learned the 2/3 of injuries in crashes are to the head. And I LOVE the new Britax B-Ready Stroller! Thanks for the chance. follow via GFC and networked blogs and I learned that it is reinforced with steel and also lowers the gravity reducing risk in a crash! I also entered to win the deep fryer 🙂 thanks for all the extra ways to enter! I learned that they lower the center of gravity in the car seat to keep kids safer – and they reinforce the seat with steel! Awesome! I have been eyeing up the Britax B-Ready stroller for some time…I’d love to have it! Follow you on Twitter @mammamoiselle and I tweeted! They use integrated steel bars in the frame of the seat to reinforce. The display of his hanging on the bar was pretty convincing! I would love the Chaperone Stroller to gift to my daughter! signed up for RSS feed to igoogle! I learned that lowering the center of gravity minimizes head trauma in the event﻿ of an accident (as the backside of the seat in front of them is one main source of head trauma). I’d love to also try the Britax B-Ready. I’m a public follower of the Born 2 Impress. I Like Britax on Facebook 1. I Like Britax on Facebook 2. I follow Britax on Twitter 1. I follow Britax on Twitter 2. I entered your Zen Class Travel Organizer Giveaway. I learned that 2/3 of injuries children suffer in crashes is to the head!! Their engineers developed head safety technology to minimize head excursion. That’s wonderful. I would also like to try to the B-Ready Stroller. I learned that Britax isn’t afraid of nursing moms on the videos (check out 3:19)! I would love to try the FN85 since my son still falls asleep in the car every trip just about and boostering him wouldn’t be safe, yet. I ‘liked’ Britax on Facebook. I learned that 2/3 of injuries to children in accidents are the head. I love the Britax B. Raedy Stroller. I entered your Oilo Giveaway. I entered your GiftZip.com Giveaway. I entered your Blissliving Home Giveaway. I learned about integrated steel bars in the carseat! I also like their Britax B Ready stroller. I am a facebook fan of Britax. I entered your flashlight giveaway. I entered your shooshooes giveaway. I entered your montrail giveaway. I entered your Strider Bike Giveaway. imnotarunner is Following Britax on Twitter. I already Follow ya on Twitter and RT about this free giveaway using: @Britax and @born2impress, win a Britax Marathon 70 Car Seat . Color of Choice!. http://bit.ly/aJHRNf Up to once a day! I blogged about this giveaway http://www.whatsanitasdeal.com if you have any tips that would be great. It’s a major work in progress. I can’t get feedburner to work. Would love a Britax carseat for the ‘future’ baby we are going to have, hopefully!!!! It would make 3 for us! I learned that britax uses safecell technology to lower teh center of gravity in a crash lower the chance of our kids heads hitting the back of the front seat of the car. I also really want to try the Britax B-ready stroller. I learned that for children up to age 12, head trauma is the leading cause of crash death. I like the Parkway SGL. I follow, and the Dadlab video concentrated on the importance of the center of gravity in preventing head injuries in children in car accidents, which I really hadn’t thought of before. For other products I would like, their strollers look good, and I think the B-Ready one would be great to have. Entered the Pearl Paradise giveaway. i love their b ready bassinet. I also learned Britax IS AWESOME! and they have metal enforced plastic! I learned that: 2/3 of injuries children suffer in crashes is to the head. I like the B-Ready Stroller in Green. I learned that they lower the center gravity. I also like the Britax B Ready Stroller. I am your email subscriber. I also entered your pillow pet giveaway. I also entered your heartsong giveaway. I learned that a child that is properly strapped in to their car seat can hit the back side of the front seat in a crash. Wow. I would like to try the B-Ready stroller. I follow you through NetworkedBlogs. I entered your iMainGo Giveaway. I entered your Shoebuy.com Giveaway. I entered your Daisy Rock purse Giveaway. I entered your Angela Moore Giveaway. I learned how Britax lowers the center gravity. Another product I’d like to try is the Britax B ready stroller. I publicly follow your blog. I became a friend on Facebook. I entered the Boba Carrier giveaway. I entered the EasyWalker Stroller giveaway. I entered the Medela giveaway. I learned how Britax lowers the center of gravity for increased safety!! I have the Boulevard and LOVE it and would also love to try the Advocate seat!! I follow you via GFC! following you via networked blogs! I love the Chaperone stroller and I learned that Britax using head safety technology like safe cell to lower the center of gravity to better protect your child’s head! I like Britax on facebook! I like Britax on facebook entry 2! I entered the Joseph Allen giveaway! I entered the Ecomom giveaway! I entered the hearthsong giveaway! I entered the American Standard giveaway! I entered the Oilo giveaway. I entered the American Standard giveaway. I entered the Eco-mom flair highchair giveaway.